With South Korea’s biggest telecommunications firm SK Telecom unveiling its own pricing plan for 5G services Wednesday, all the mobile carriers have wrapped up preparations for their commercial rollout Friday. 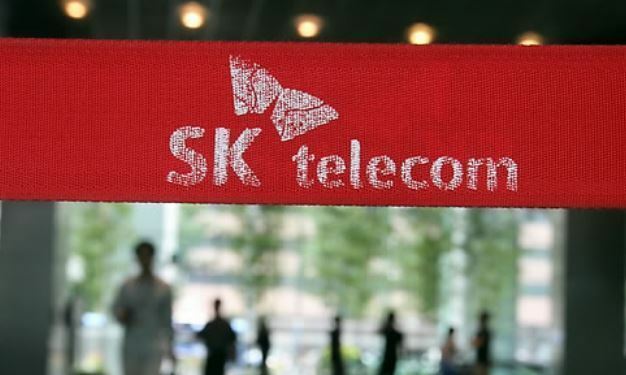 During a meeting with reporters in Seoul, SKT became the last carrier to announce pricing plans for the 5G network. It came a day after the mobile carrier’s rival KT roiled the market with “unlimited” data plans without speed limits or data caps. According to SKT, consumers can choose from four plans, beginning from 55,000 won ($48.50) for 8 gigabytes a month. The company also introduced an 89,000 won unlimited data plan as a promotion to be available through the end of the year. “Depending on the maturity of the market, we could come up with additional pricing plans,” said SKT Executive Vice President Ryu Young-sang, leaving open the possibility it may come up with different prices. SKT also has a 125,000 won unlimited data plan with greater benefits, making use of its own 5G contents for games and broadcasting. It additionally introduced a 75,000 won pricing plan that comes with 150 gigabytes worth of data. Given concerns over the lack of killer contents for 5G networks, SKT said it would come up with various platforms for augmented reality. The company said it would work with “Pokemon Go” developer Niantic on its upcoming release of an AR-based game that brings the “Harry Potter” universe to life. SKT also stressed that at a maximum speed of 2.7 gigabytes per second, it is faster than the competitors. With 34,000 base stations and quantum cryptography technology, the company suggested its network would prove more extensive and secure. After the country’s third-biggest mobile carrier LG Uplus became the first to announce a 5G pricing plan last week, its rivals have been intensifying their efforts to gain the upper hand in embracing the hyperspeed network, seeking a business transformation. While Korea is not yet ready for full-fledged, standalone 5G services capable of providing nationwide coverage, the mobile carriers have been hyping up their capabilities to deliver a faster network to wider areas at cheaper prices. According to industry watchers, 5G is expected to be up to 20 times faster than the current 4G Long Term Evolution network. But that will come with higher prices. The mobile carriers’ cheapest pricing plans are set at 55,000 per month, up to 20,000 won more expensive than LTE pricing plans. Combined with the price of 5G handsets, consumers’ price burden will increase, analysts have said. The monthly payment for 5G could reach 100,000 won even on the cheapest price plans, according to Kim Joo-ho of People’s Solidarity for Participatory Democracy. When subscribing to data plans, consumers here typically purchase the smartphone on a monthly installment plan. Samsung’s first 5G smartphone — Galaxy S10 5G — is priced at about 1.39 billion won. That is about 250,000 won more expensive than the Samsung S10 for LTE services.